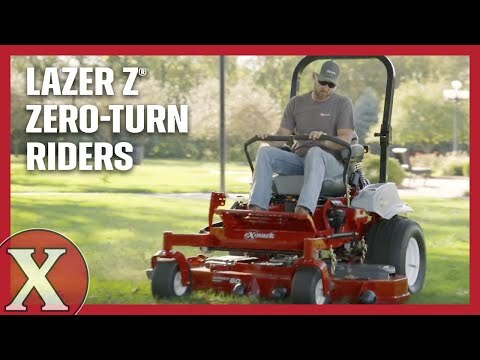 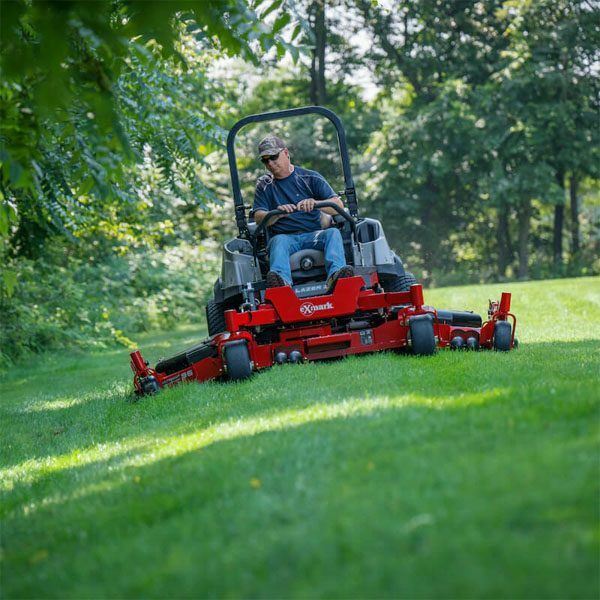 For a variety of reasons, the redesigned diesel-powered Lazer Z zero-turns may be the right choice for your cutting needs. These machines make quick work of the largest, toughest jobs and raise the bar for cut quality, operator comfort, fuel efficiency and ease of handling. 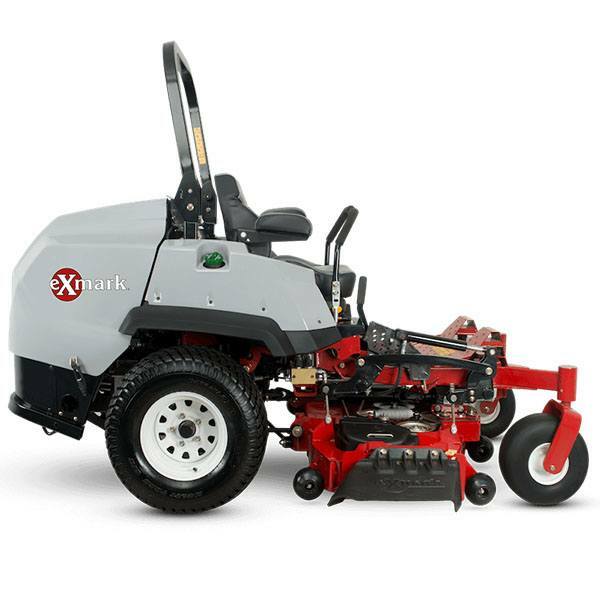 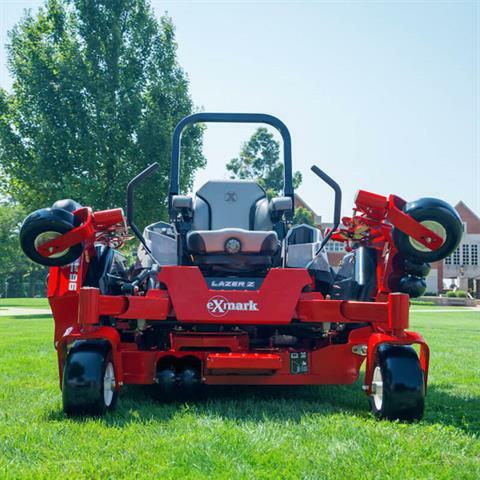 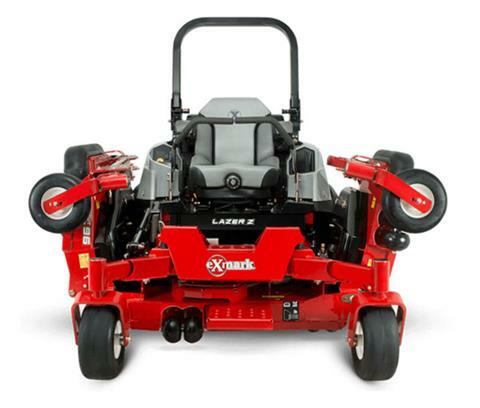 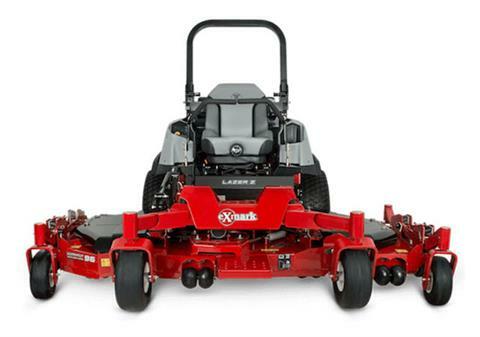 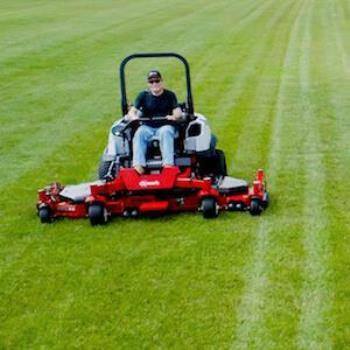 Our large 96-inch flex wing deck is capable of mowing over 9.5-acres per hour, making it the most productive mower Exmark has ever built. 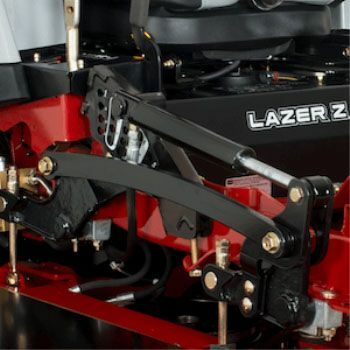 The Lazer Z Diesel is also available with 60- and 72-in. 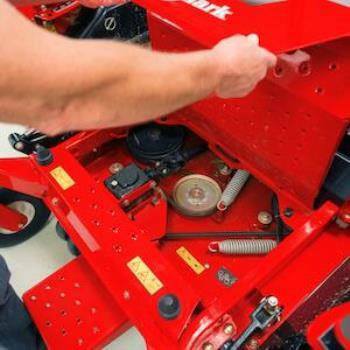 UltraCut mower decks. 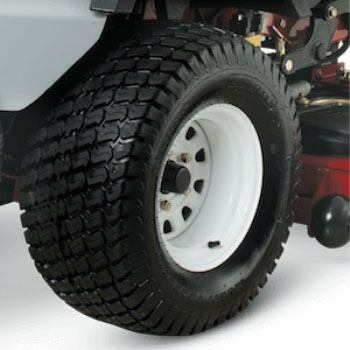 TIRE SIZE / GROUND SPEED: The 26 x 12-12 in. 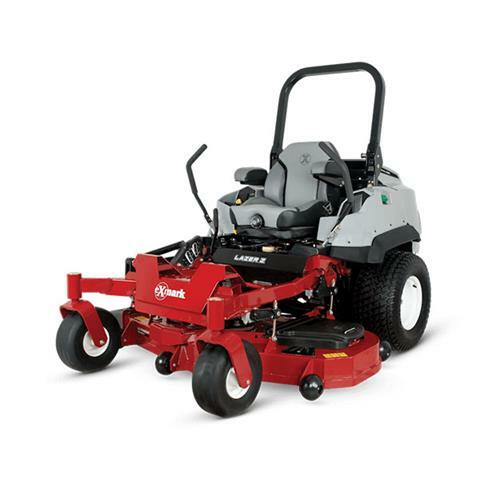 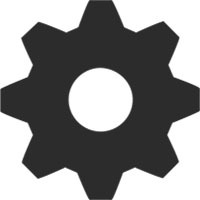 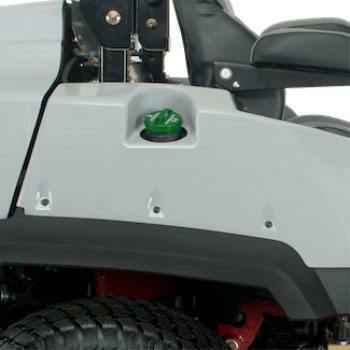 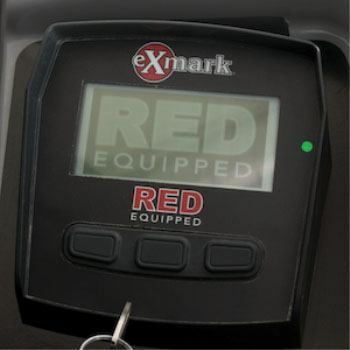 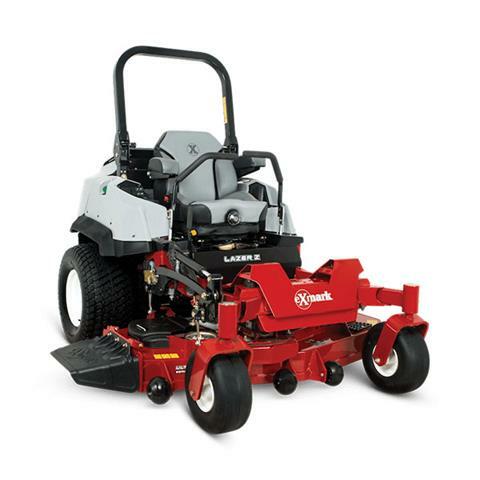 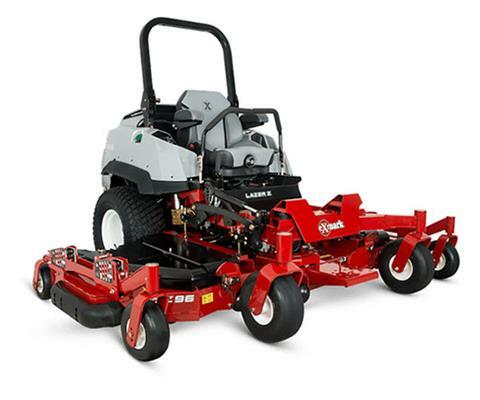 drive tires allow you to reach speeds up to 12.5 mph on machines equipped with the 1.6 Liter Common Rail engine. 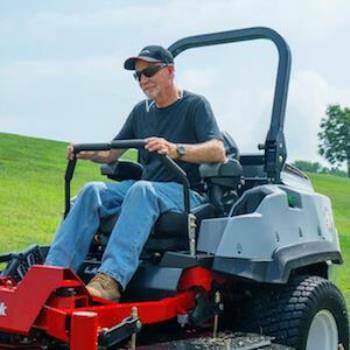 The large drive tires also provide superior traction and handling, giving you the ability to manage diverse terrain and conditions.